Tuesday 30 April witnessed a major debate on Social tourism in Holyrood. 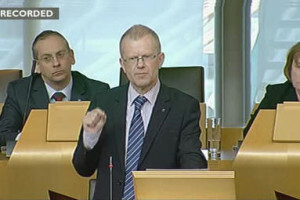 John Mason, Glasow Shettleston MSP, lodged a motion supporting easier access to holidays for disadvantaged families which received cross-party support allowing the debate to take place. The debate, scheduled for 5pm on the Tuesday was preceded by a briefing session on social tourism for MSPs in Committee Room 2. Ten MSPs, again representing the three main parties – SNP, Labour and Conservative – attended and signaled their interest in the subject. In addition to Family Holiday Association representatives, we were delighted that the briefing was also attended by a number of other organisations and companies with an interest in the debate. Canvas Holidays, a Dunfermline-based travel company and long-time supporter of the charity, were represented by Isabell Sinclair, call centre manager and charity advocate; the Family Fund was represented by Salena Begley, Development Manager for Scotland; Sandaig Primary School, Glasgow who have worked with the charity over the past few years had Linda Burke, their Deputy Head; TUI UK & Ireland, the charity’s major corporate supporter had both Paul Cooper, Manager Airport Negotiations, and Michelle McMenamin, Divisional Sales Manager for North England/Scotland; Visit Scotland were represented by Liz Buchannan, Regional Partnerships Director, and Chris McCoy, Equality & Diversity Manager and Project Co-ordinator for accessibility. Together with our partners we were able to present a convincing and well-rounded case for the importance of holidays. 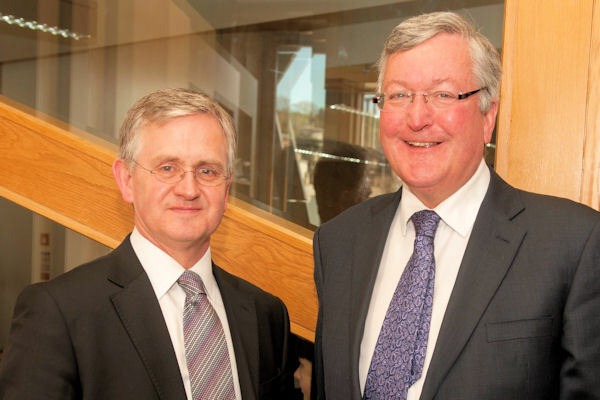 John McDonald, director of the charity, was also granted a meeting with the Scottish Minister responsible for tourism, Fergus Ewing. Mr Ewing was keen to learn more about the Family Holiday Association’s views and indicated his interest in the subject. “Too many families are missing out on the benefits that quality time together can provide. The debate was televised by the BBC and is available to view here. “I suppose the first question we would expect when raising holidays for those on low income is: ‘surely a holiday is a luxury and people on low incomes have no right to that.’ I would very much want to challenge this assertion and tonight’s debate was a good opportunity to do that. “Given that stress affects us across the income spectrum and is actually a key factor in health in poorer areas, I believe that holidays and leisure activities are also necessary across the income spectrum and they are not a luxury available only to those on good incomes. And these are points supported by research. Nottingham University research shows that 77% of families were happier after a holiday, 70% were more optimistic and 74% had a more positive outlook on life. “The Scottish Government is particularly keen to put an emphasis on preventative spending and I think it’s quite clear from the academic research that the benefits of short breaks can be very worthwhile, even from a health point of view. Turning to the economics, Spain’s IMSERSO scheme allows a number of pensioners to get away to the coast which, of course, extends the holiday season, boosts the local economy and provides more employment opportunities. A Price Waterhouse Coopers report found that for every €1 invested in the programme, an additional €1.5 was generated in tax revenue, so the financial aspect of social tourism is also interesting”. Bob Doris, Chic Brodie, Joan McAlpine, Bill Kidd, Richard Lyle, Bill Walker, David Torrance, Mike MacKenzie, Stuart McMillan, Adam Ingram, Gil Paterson, Maureen Watt, Clare Adamson, Colin Beattie, Jamie Hepburn, Mark McDonald, Colin Keir, Nigel Don, Annabelle Ewing, Dave Thompson, Murdo Fraser, Margaret McCulloch, Siobhan McMahon, Rhoda Grant, Anne McTaggart, Mary Scanlon.